Brief Description: You might think you know all there is to know about Wolves, but what if they’re disguised in sheep’s clothing and take the form of 1,000 tricky quiz questions that could give you a nasty bite? Your brains will certainly have to adopt the role of wanderer as you try to cast your minds back well over a century to the very beginning of the club’s long history. Questions cover every imaginable aspect of the club, from memorable managers and players, through transfer fees, opponents, scores and awards, to every competition you can think of, and they are sure to trigger vivid and treasured recollections of the colourful characters and nail-biting matches that have made the club what it is today. With a fitting foreword by John Richards, this book is bursting at the seams with interesting facts and figures and is guaranteed to challenge even the most ardent fan as well as provide hours of entertainment for the whole family. 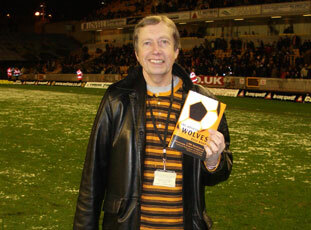 Philip Solomon: Philip has been a Wolves fan all his life, he is a medium who writes columns for various newspapers and a presents his own radio show on Radio Wolverhampton. 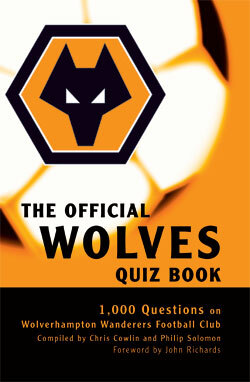 This is a great quiz book for the true Wolves fans. A true test for any Wolves fan, fun and enjoyment for all the family. Many interesting and diverse questions covering all aspects of Wolverhampton Wanderers, and to suit all abilities. 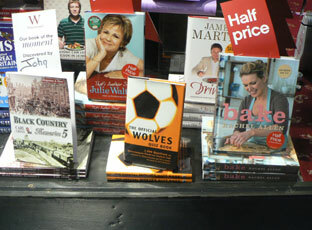 A great book for the ardent Wolves fan! We can relive all the highs! 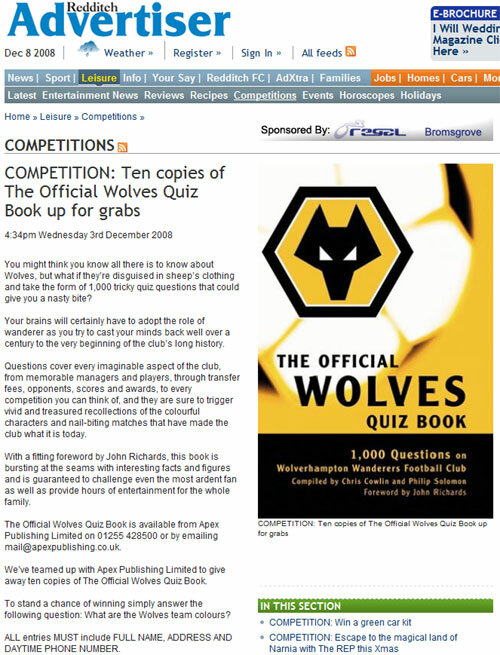 A fascinating quiz book for all Wolves fans of all ages. This book is a must for all Wanderers fans. With a great variety of questions and teasers from past and present it suits both young and old. Hear Ye, Hear Ye, a new book is to be published in the fair city of Wolverhampton by local celebrity and lifelong Wolves supporter, Philip Solomon, together with fellow author, Mr Chris Cowlin, it is titled, Lords, Ladies and Gentlefolk of our fair city, The Official Wolves Quiz Book, enquiring of the reader to answer 1,000 questions about Wolverhampton Wanderers, the pride of the West Midlands. This quiz book about Wolves by Philip Solomon and Chris Cowlin will bring the past right into focus for all Wolves fans, but particularly the young people of today. 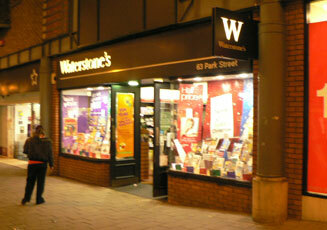 It will help them to realise what a great club we have in Wolverhampton Wanderers. A must for all Wolves fans, fun for all the family especially on those long away coach trips! I don’t know anyone who doesn’t like a good quiz. Even better when the quiz is about a favourite topic, such as football, and better still when it’s about your favourite club. 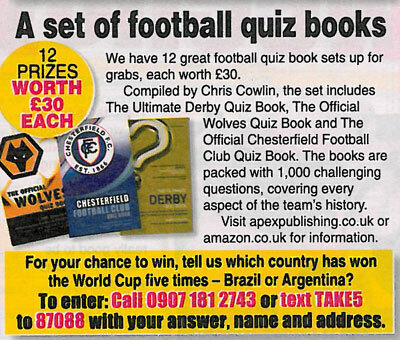 Wolves supporter, Phil Solomon, and football quiz compiler, Chris Cowlin, have put together a quiz book which will have the most ardent of fans racking their brains. 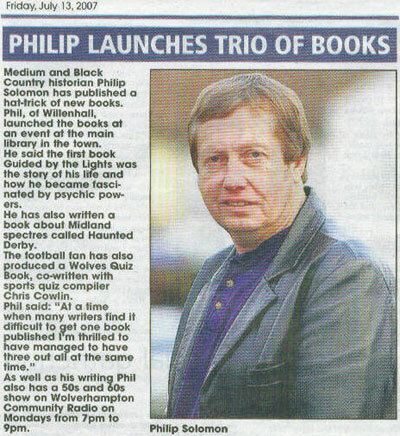 Phil will be known to many of the Molineux faithful from his regular columns in the Wolverhampton Express & Star, he’s gold and black through and through. If you reckon you know everything there is to know about Wolves, well, you might have to think again. There are some questions about the club which go back before my time, and that’s saying something! There is something here for Wolves fans of all ages. It will resolve a few issues amongst friends but it is just as likely to create a few arguments. It’s great fun and a great way of learning more about one of the world’s most famous football clubs. 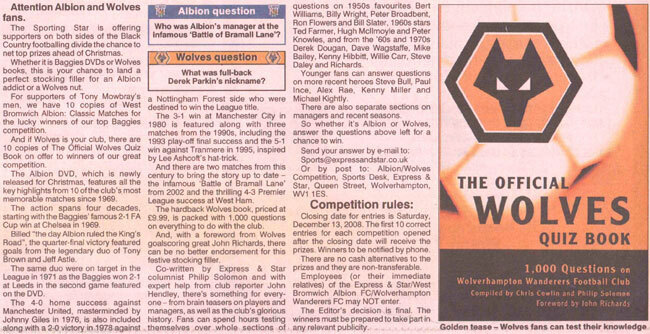 A most carefully prepared brain tester for all wolves fans and supporters alike. A must for everyone! A real book for real supporters. 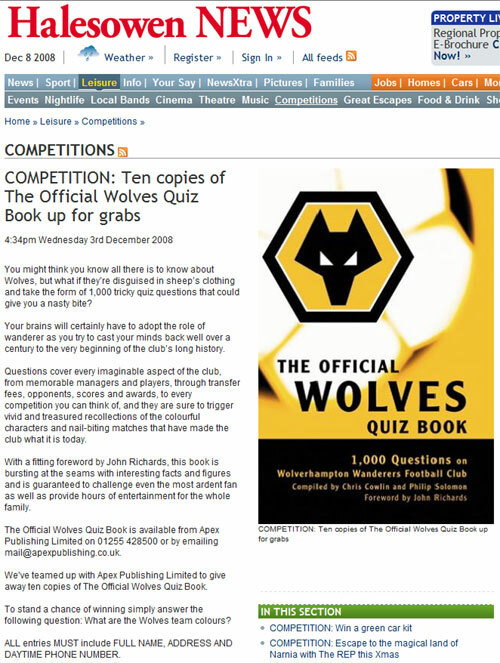 Wolves stattos have finally got a quiz book to get their claws into. Whether you’re a die-hard fan or not, there’s plenty in here to test your knowledge and keep you entertained. A great book on the Wolves! You might think you know all there is to know about Wolves, but what if they’re disguised in sheep’s clothing and take the form of 1,000 tricky quiz questions that could give you a nasty bite? Your brains will certainly have to adopt the role of wanderer as you try to cast your minds back well over a century to the very beginning of the club’s long history. 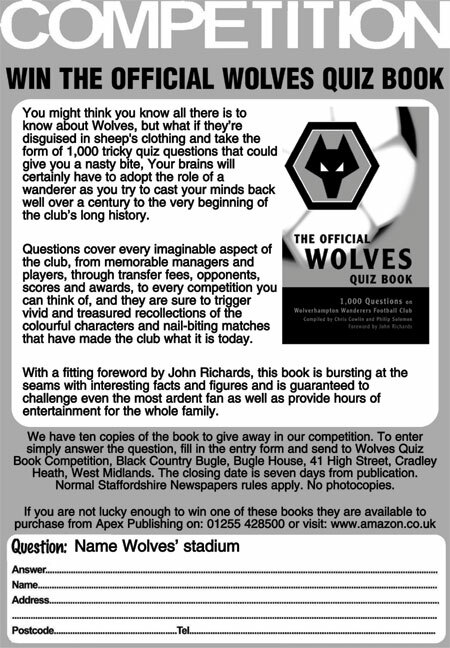 The Official Wolves Quiz Book is available from Apex Publishing Limited on 01255 428500 or by emailing mail@apexpublishing.co.uk. 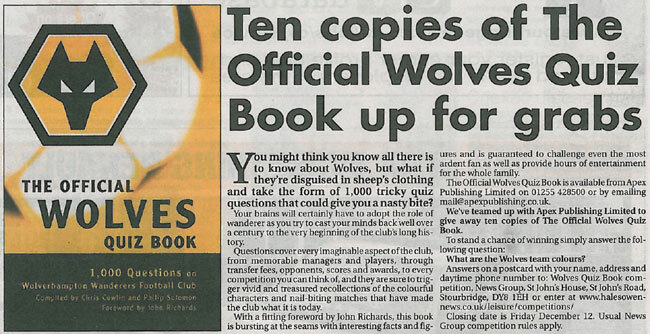 We’ve teamed up with Apex Publishing Limited to give away ten copies of The Official Wolves Quiz Book. To stand a chance of winning simply answer the following question: What are the Wolves team colours? ALL entries MUST include FULL NAME, ADDRESS AND DAYTIME PHONE NUMBER. 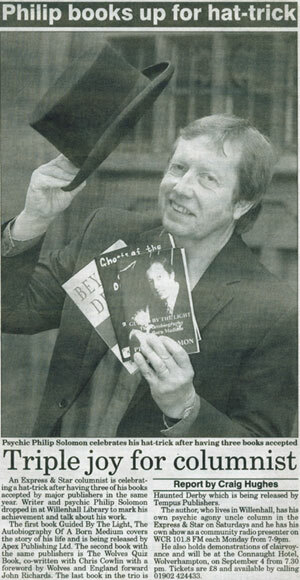 Philip Solomon was interviewed on Wolverhampton City Radio 101.8 FM. 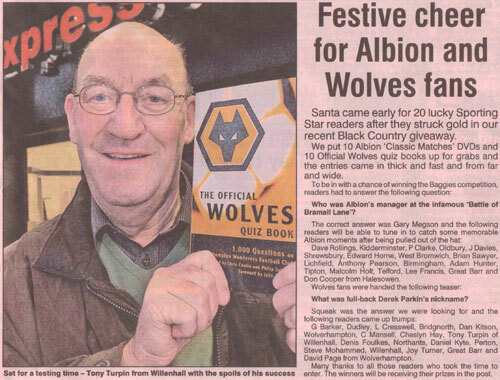 Philip answered questions about his book 'The Official Wolves Quiz Book'. 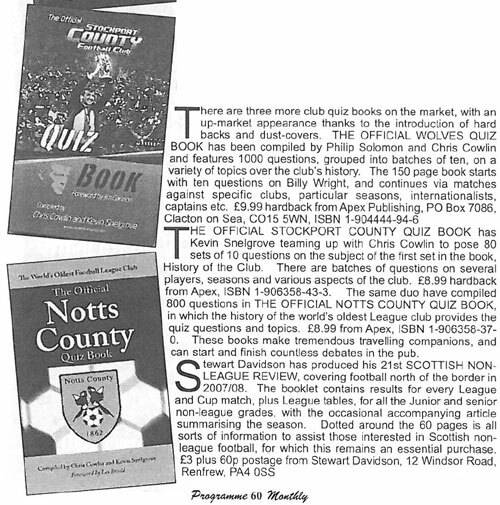 The Official Wolves Quiz Book is a good read, a lot of work has gone into it. 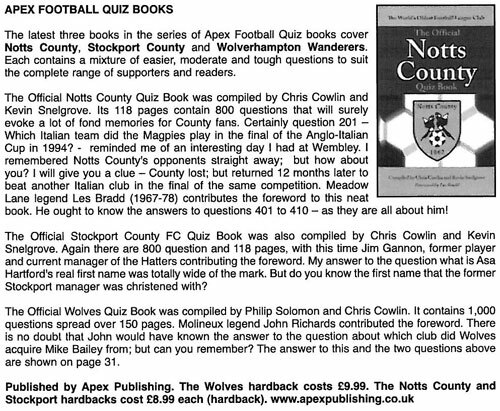 Chris Cowlin and Philip Solomon have compliled an excellent collection of questions that challenge even the most ardent of Wolves history nuts, yet at the same time most casual fans will be able to answer a fair number, ensuring that there is something for everyone. Ideal for a formal quiz night setting or even as a test for the individual just to see where they really are, as far as intimate knowledge of our great club is concerned. If you've got old gold and black in your veins, then this book is for you! I really enjoyed this book, I thought I knew it all when it come to my club, but I didn't! This book is a perfect present for any Wolverhampton Wanderers fans, a great blend of questions spaning the full history of a great club. This is a great opportunity for young and old, Wanderers home and away, to test their skill and knowledge about the history that is Wolverhampton Wanderers FC A must for any avid fan! 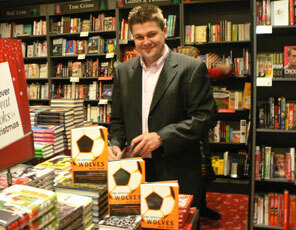 Chris Cowlin signed copies of his book 'The Official Wolves Quiz Book' at Waterstone's, Wolverhampton. 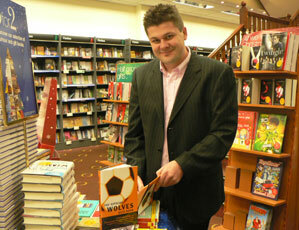 Chris Cowlin signed copies of his book 'The Official Wolves Quiz Book' at Waterstone's, Walsall. 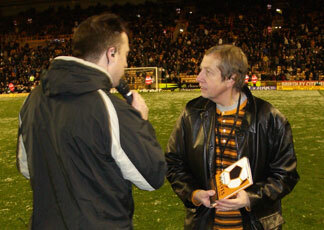 Philip Solomon was interviewed on the pitch at half-time at the Wolves v. Swansea match. 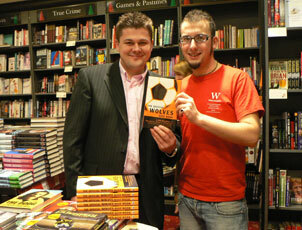 Philip answered questions about his book 'The Official Wolves Quiz Book' by match-day commentator Mike Zeller. 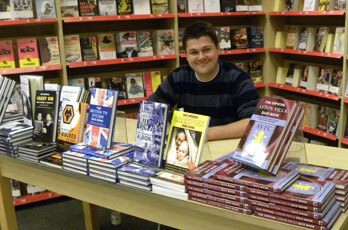 Chris Cowlin signed copies of his book 'The Official Wolves Quiz Book' and various other titles at Borders, Bullring Shopping Centre, Birmingham.